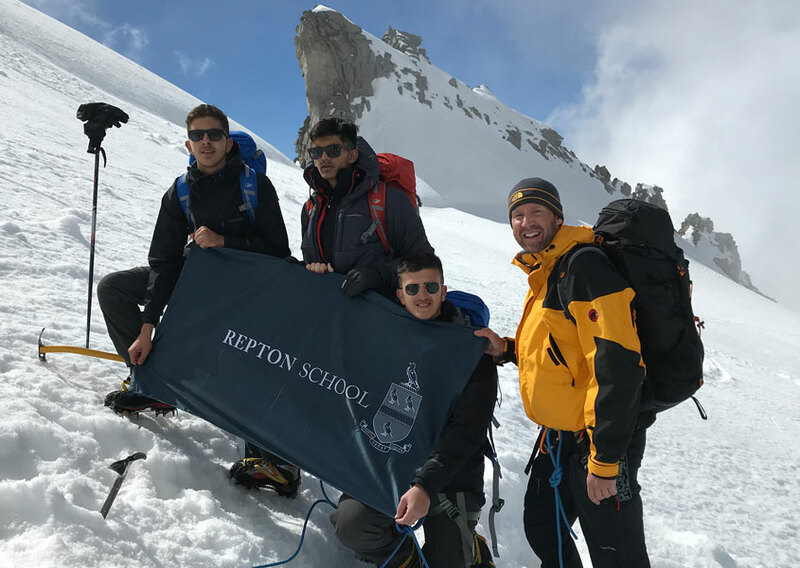 Gran Paradiso was an expedition designed for IB students as a culmination of their outdoor education journey at Repton. The aim was to truly take the pupils out of their comfort zone and challenge them by ascending a 4000m peak. The expedition consisted of 5 days of alpine mountaineering training based outside of Chamonix. This included an acclimatization period at 3500m and operating with ice axes, crampons and harnesses. The pupils learned quickly and by the third day were traversing some steep and challenging ground. The main ascent of Gran Paradiso took place over two days. On the final approach the pupils left the comfort and security of the mountain hut at 0345 and with head torches illuminated began scaled the steep walls of the glacier leading to Gran Paradiso. At the break of dawn the pupils and team of mountaineering guides broke through the cloud layer and summated the majestic Gran Paradiso. The cloud layer cleared revealing the surrouding peaks of the Matterhorn and Mont Blanc. It was a truly epic feat by four seventeen year old boys and an experience they will never forget. Tired and hungry they began the long descent back down to the mountain hut where they tucked into a wholesome lunch and took stock of their achievement. Each of the pupils mentioned in one way or another that they had doubts whether they could make it to the top. What became clear to all of them is the ability, through grit and determination, to push oneself further than they thought was possible. A great life lesson!